The Man Who Melted is a warning for the future. It is the Brave New World and 1984 for our time, for it gives us a glimpse into our own future — a future ruled by corporations that control deadly and powerful forms of mass manipulation. It is a prediction of what could happen…tomorrow. The Man Who Melted examines how technology affects us and changes our morality, and it questions how we might remain human in an inhuman world. Will the future disenfranchise or empower the individual? Here you’ll find new forms of sexuality, new perversions, new epiphanies, and an entirely new form of consciousness. Would you pay to “go down” with the Titanic? In this dystopia the Titanic is brought back from the bottom of the sea and refurbished, only to be sunk again for those who want the ultimate decadent experience. Some passengers pay to commit suicide by “going under” with the ship. The Man Who Melted has been called “one of the greatest science fiction novels of all time” by Science Fiction Age and is considered a genre classic. It is the stunning odyssey of a man searching through the glittering, apocalyptic landscape of the next century for a woman lost to him in a worldwide outbreak of telepathic fear. Here is a terrifying future where people can gamble away their hearts (and other organs) and telepathically taste the last flickering thoughts of the dead. Toronto, New York: Bantam Books, 1986, 259 p., paper. Photo of the author reproduced on inside back cover. Cover illustration by Jim Burns. Sydney, Australia: HarperCollins Publishers, 1998, 280 p., paper. Photo of the author reproduced on the last page. ISBN: 0 7322 5934 7. Cover illustration by Nick Stathopoulos. Amherst, New York: Pyr, January, 2007, 300 p., trade paperback. ISBN: 1-59102-487-3. Cover illustration by Nick Stathopoulos. A dystopian novel about the near future. It was a Nebula Award finalist for Best Novel in 1986, and three excerpts, which were serialized as stories, were also Nebula finalists in their respective categories and years. This is Dann’s best published novel to date. The Washington Post Book World compared it to Ingmar Bergman’s film, The Seventh Seal. The original edition is an oversized volume. The Man Who Melted is that rare book in science fiction, a book about something…. This is a deeply felt, intense, finally cathartic book. 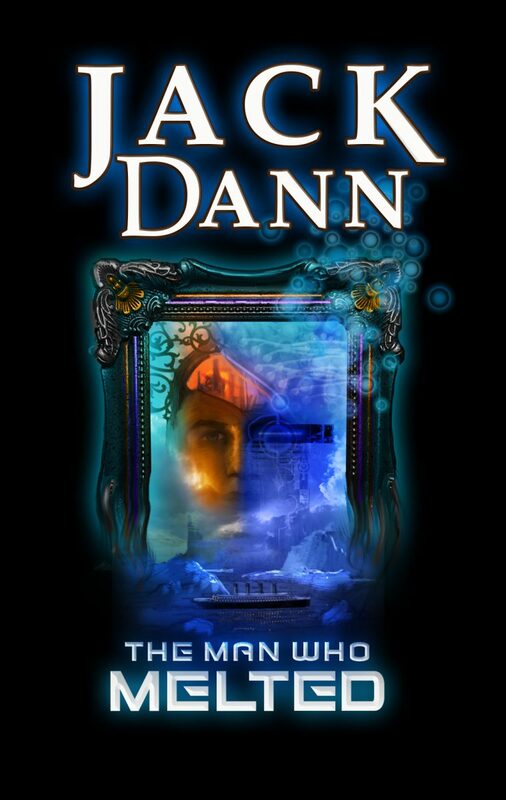 It is Dann’s best so far. Look for it now, and at awards time next year. If other people don’t know how good this is, I’ll be mighty surprised.